The Science Library includes technical papers documenting the results achieved with Holistic Management, case studies, profiles, white papers and photos that tell the stories behind the data, plus papers and articles by Allan Savory. Gill, Chris. 2009. 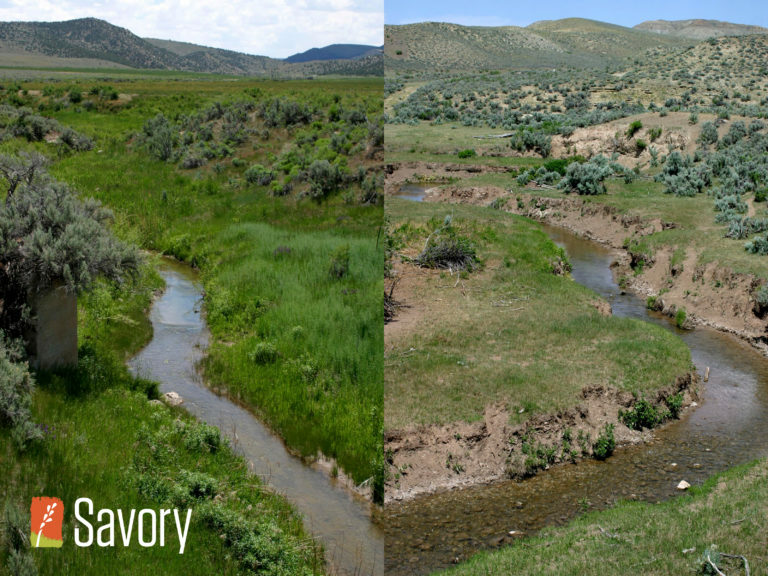 “Doing What Works: Sloppy Science is Damaging Rangelands and Wildlife. 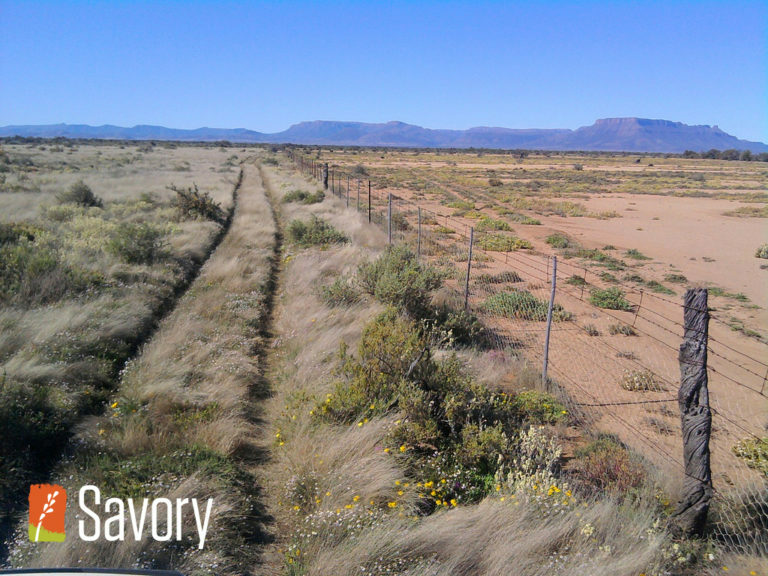 Before: Beaufort West (South Africa) farmer Dave Jack’s farm in the 1970s when Allan Savory flew there. Dave graded the airstrip in anticipation of Allan’s arrival, with the result that perennial grass emerged, after 100 years, in an area where 6km was measured between two annual grass plants at the time. The sheep grazed on desert scrub. After: The same farm today, after more than 40 years of Holistic Management. Guillermo Osuna, owner of Las Pilas Ranch, describes the photos: The pictures were taken in 1953 and 2007. The drought of the 1950s was certainly a factor, but the dramatic change we can see in the pictures was due to improving the ground cover. The changes began when I first realized that, as cattlemen, our first objective should be to grow grass, which we could then harvest with livestock. Real progress in this direction really began in 1980, though, when we first started practicing what we now know as holistic planned grazing. It is interesting to note that the average rainfall for the last six decades here at Las Pilas has really not changed very much, although the year-to-year fluctuations can be very big. In 2010, we had the biggest rainfall of record, 64 inches, and in 2011 we got less than 4 inches. Site 1, Before: October 2004. 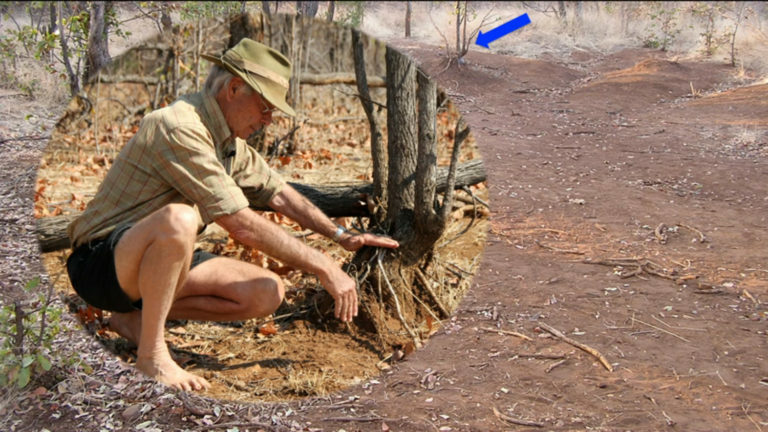 Bare for more than 30 years, it was believed this soil under these mopane trees could not grow grass. Site 1, After: September 2006. Two years following impact with a herd of 500 cattle held in a movable, predator-proof ”kraal” at night for a week, there is an abundance of grass. Site 2, Before: October 2006. Shortly before the movable predator-proof kraal was placed on this site. Arrow points to the tree in the photo below. Site 2, After: March 2009. Three years later the increased productivity at the end of the rains is dramatic. Site 2, After: November 2009. 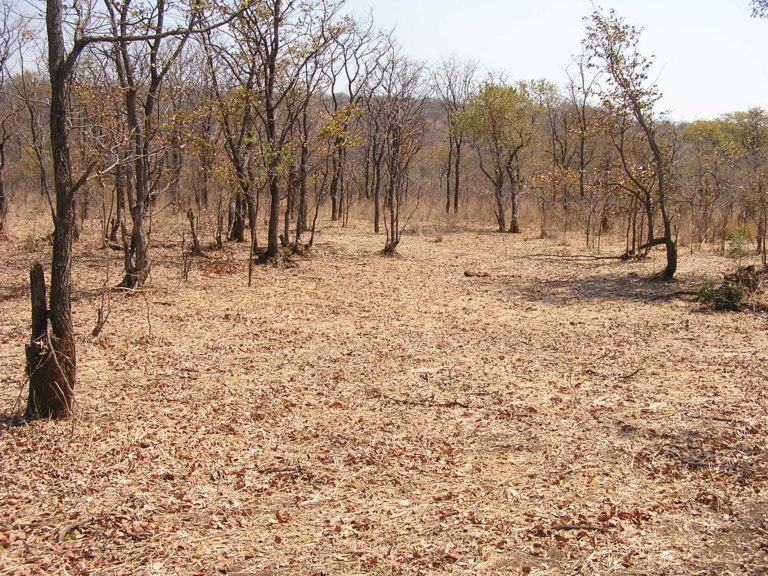 By the end of the dry season the newly abundant forage has been grazed or trampled to the surface, creating a mulch through which plants will send up new leaves when the rains begin. Site 2, Before (close up): The tree roots exposed in the inset show how much soil has been lost to erosion over the years. Read full paper: A Brief Overview of Holistic Management and Holistic Decision Making (2011) Summary: Two things – agriculture and fossil fuels, are causing climate change. 30% of the world’s arable land has become unproductive in the past 40 years due to erosion. 20% of global pasture and 73% of global rangeland in the drylands has been degraded. 74% of North American dryland has been affected by desertification. Hilton, Ronald. “The Geography of Desertification.” Stanford University, 5 May 2002, wais.stanford.edu/Geography/geography_ofdesertification5502.html. At current rates of soil loss, only 60 years of harvest remain before global topsoil is depleted. “International Year of Soil Conference.” Food and Agriculture Organization, 6 July 2015, www.fao.org/soils-2015/events/detail/en/c/338738/. Despite widespread land degradation, global meat and dairy production is projected to increase by at least 158% by 2050. Regenerative grazing enhances soil carbon allocation and microbial biomass. Each 1 percent increase in soil organic matter helps soil hold 20,000 gallons more water per acre. Bryant, Lara. “Organic Matter Can Improve Your Soil’s Water Holding Capacity.” NRDC, 15 Dec. 2016, www.nrdc.org/experts/lara-bryant/organic-matter-can-improve-your-soils-water-holding-capacity. We can become carbon neutral by increasing soil carbon content by just 0.4% a year. “The 4 per 1000 Initiative in a Few Words.” The 4 per 1000 Initiative in a Few Words | 4p1000, www.4p1000.org/4-1000-initiative-few-words. Every tonne of carbon added to the soil removes 3.67 tonnes of carbon dioxide from the atmosphere. Teague, W.R., et al. “The Role of Ruminants in Reducing Agriculture’s Carbon Footprint in North America.” Journal of Soil and Water Conservation, www.jswconline.org/content/71/2/156.full.pdf+html. Properly managed grazing, if applied on 25% of our crop and grasslands, would mitigate the entire carbon footprint of North American agriculture. Soil from properly managed grazing operations have been shown to sequester up to 7 tons carbon/hectare/year. Machmuller, Megan B., et al. “Emerging Land Use Practices Rapidly Increase Soil Organic Matter.” Nature News, Nature Publishing Group, 30 Apr. 2015, www.nature.com/articles/ncomms7995.